A leading Shropshire law firm is continuing its valuable support of the county’s arts scene. Wace Morgan Solicitors, which has three offices in Shrewsbury and one in Newtown, provides regular sponsorship for local events, shows and performances. 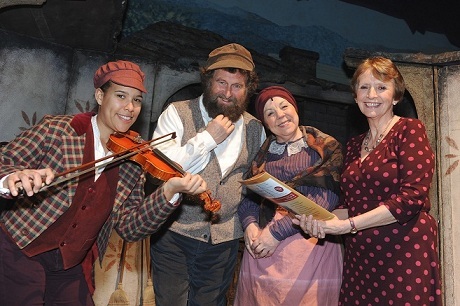 The firm has recently given a big boost to an amateur production staged at The Theatre Severn – Fiddler on the Roof, performed by the Shrewsbury Amateur Operatic Society. “It was a fabulous show put on by very talented Shropshire people and we are pleased to be able to support them as part of our on-going links with the local arts scene,” said Diana Packwood, managing partner of Wace Morgan. Steve Thomas, chairman of the operatic society, said that he was very grateful for the sponsorship. “Working with respected local businesses such as Wace Morgan enables us to put on successful shows for the people of Shrewsbury and beyond and their financial contribution to making this happen is very much appreciated.